I am currently a student of Computer Science in Trinity College Dublin. I have always been very passionate about helping my friends, colleagues, juniors and classmates with their studies, especially computer skills and English. I am very disciplined and respectful person with strong knowledge of computers and technologies, maths and science. Fluent communication in English is a pivotal skill that I have and I also enjoy tutoring the art of speaking and pronunciations in English. My IELTS scores are Speaking 8, Listening 8.5, Reading 6.5 and Writing 7.5. I have studied with medium of instruction as English through out my school and university which was beneficial to boost my vocabulary. 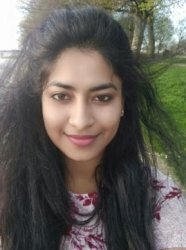 English/ESL: I have tutored English for junior level students in India (especially grammar) and also for my friends who required to improve their pronunciations and presentation skills. In Ireland I have been assisting my friends from non-English speaking countries to pick up the language fast. Computers: I have tutored juniors during my Bachelors for subjects like Data Structures and basic coding concepts. Besides, I have been helping out with basic computer skills whoever needs it, everyone from my classmates to my family members. Every student needs attention according to their understanding levels and therefore my approach is more flexible and depends on the student's capacity and progress.